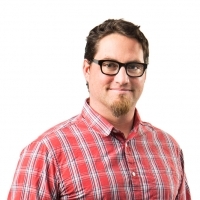 Matt is an award-winning designer with over 10 years of experience creating human- centered design solutions across a wide range of product categories including consumer, commercial and medical technologies. He excels at balance, creating deeply engaging design solutions that are appropriately innovative while also accounting for the realities of engineering, manufacturing and business. Aware of the myriad design tradeoffs and, more importantly, their implications, Matt guides clients to the right solution for their product design challenges, whatever that may be. When not designing, Matt can be found tinkering with just about any vehicle that has a motor, both off and on the water.